The world of digital excites you, you spend hours browsing the web, blogging about the latest craze, watching YouTube videos, fiddling with apps on your smartphones and even playing video games. So why not turn that passion into a rewarding career? With a solid training course in web design, you can. A successful blend of theory and practice in your selected course will teach you to design and develop media technologies, code websites and mobile applications, edit digital video and manage IT projects - and plenty more. 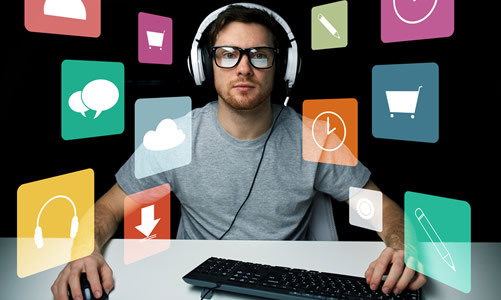 With the right course, you’ll work on exciting projects and pick up a plethora of tools and tricks to stand out from the crowd to kick-start a dynamic career across digital media - whether as a developer, producer, designer or a games tester.